We are in the middle of an Education Emergency! On July 12 — less than a year after she was shot by the Taliban for her strong voice in this fight — Malala Yousafzai will mark her 16th birthday by delivering the highest leadership of the UN a set of education demands written by youth, for youth, to United Nations Secretary-General Ban Ki-moon. 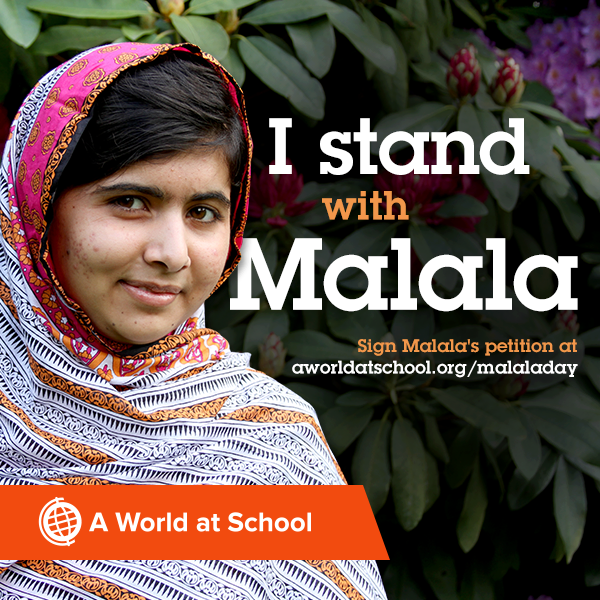 We can’t stand on the UN floor next to Malala — but we can all stand with her. Sign this letter to Secretary-General Ban Ki-moon to show your demand for emergency action in support for Malala’s education fight. 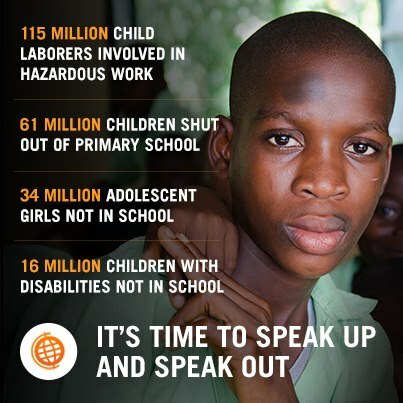 I stand with Malala in demanding that the leaders of the world end our global Education Emergency. After the recent violent murder of 14 girls in Pakistan who simply wanted an education, I support the civil rights struggle of 57 million girls and boys who will not go to school today — or any day. Side by side with Malala, we demand that at the United Nations General Assembly, world leaders agree to fund the new teachers, schools and books we need — and to end child labour, child marriage and child trafficking — so that by December 2015 we meet the Millennium Development goal promise that every boy and girl be at school. To sign this petition please go here.